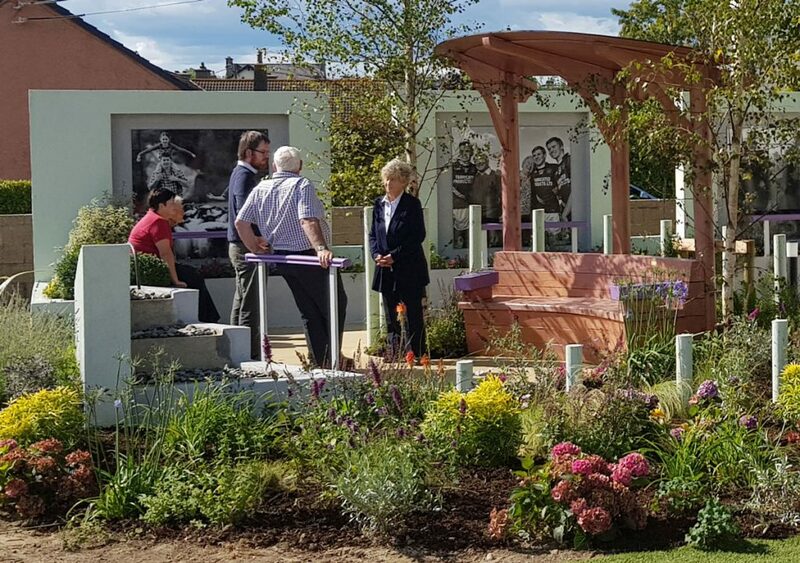 The Understand Together: Moments in Time Garden has officially been opened in its new home in Arklow. The garden, designed by the Dementia Friendly Garden Team of TrinityHaus, Newtown Saunders and Engaging Dementia (formerly Sonas apc), is a friendly and inclusive space specifically designed to support the needs of people living with dementia. It originally appeared at Bord Bia’s Bloom in the Park festival, where it won a bronze award, and has since been relocated. The garden was fully sponsored by the Dementia Understand Together Campaign, of which Engaging Dementia is a partner. The garden was officially opened by Minister for Health, Simon Harris TD, at its new location in the Arklow Duck Pond, Nature Walk & Leisure Area in Co. Wicklow.